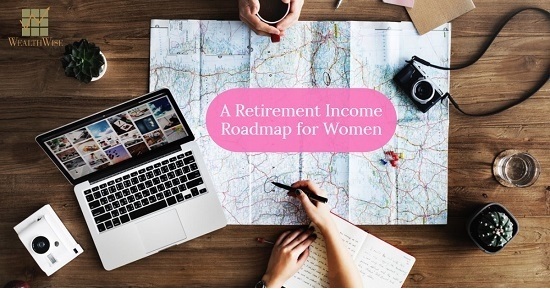 More women are working and taking charge of their own retirement planning than ever before. What does retirement mean to you? Do you dream of traveling? Pursuing a hobby? Volunteering your time, or starting a new career or business? Simply enjoying more time with your grandchildren? Whatever your goal, you'll need a retirement income plan that's designed to support the retirement lifestyle that you envision, and minimize the risk that you'll outlive your savings. • The longer you delay retirement, the longer you can build up tax-deferred funds in your IRAs and employer-sponsored plans such as 401(k)s, or accrue benefits in a traditional pension plan if you're lucky enough to be covered by one. • Medicare generally doesn't start until you're 65. Does your employer provide post-retirement medical benefits? Are you eligible for the coverage if you retire early? Do you have health insurance coverage through your spouse's employer? If not, you may have to look into COBRA or a private individual policy — which could be expensive. • You can begin receiving your Social Security retirement benefit as early as age 62. However, your benefit may be 25% to 30% less than if you waited until full retirement age. Conversely, if you delay retirement past full retirement age, you may be able to increase your Social Security retirement benefit. • If you work part-time during retirement, you'll be earning money and relying less on your retirement savings, leaving more of your savings to potentially grow for the future (and you may also have access to affordable health care). • If you're married, and you and your spouse are both employed and nearing retirement age, think about staggering your retirements. If one spouse is earning significantly more than the other, then it usually makes sense for that spouse to continue to work in order to maximize current income and ease the financial transition into retirement. 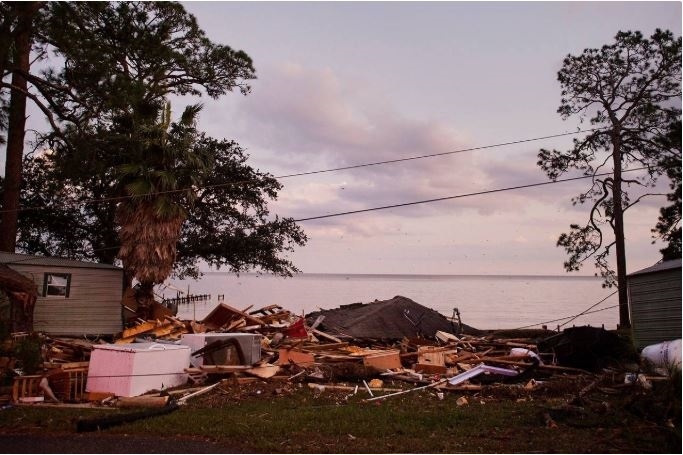 RECOMMENDED READ: "Accessing Cash After Natural Disasters"
Once you know when your retirement will likely start, how long it may last, and the type of retirement lifestyle you want, it's time to estimate the amount of money you'll need to make it all happen. One of the biggest retirement planning mistakes you can make is to underestimate the amount you'll need to save by the time you retire. It's often repeated that you'll need 70% to 80% of your pre-retirement income after you retire. However, the problem with this approach is that it doesn't account for your specific situation. Focus on your actual expenses today and think about whether they'll stay the same, increase, decrease, or even disappear by the time you retire. While some expenses may disappear, like a mortgage or costs for commuting to and from work, other expenses, such as health care and insurance, may increase as you age. If travel or hobby activities are going to be part of your retirement, be sure to factor in these costs as well. And don't forget to take into account the potential impact of inflation and taxes. Once you have an idea of your retirement income needs, your next step is to assess how prepared you (or you and your spouse) are to meet those needs. In other words, what sources of retirement income will be available to you? Your employer may offer a traditional pension that will pay you monthly benefits. In addition, you can likely count on Social Security to provide a portion of your retirement income. Other sources of retirement income may include a 401(k) or other retirement plan, IRAs, annuities, and other investments. The amount of income you receive from those sources will depend on the amount you invest, the rate of investment return, and other factors. Finally, if you plan to work during retirement, your earnings will be another source of income. When you compare your projected expenses to your anticipated sources of retirement income, you may find that you won't have enough income to meet your needs and goals. Closing this difference, or "gap," is an important part of your retirement income plan. In general, if you face a shortfall, you'll have five options: save more now, delay retirement or work during retirement, try to increase the earnings on your retirement assets, find new sources of retirement income, or plan to spend less during retirement. Even after that special day comes, you'll still have work to do. You'll need to carefully manage your assets so that your retirement savings will last as long as you need them to. • Review your portfolio regularly. Traditional wisdom holds that retirees should value the safety of their principal above all else. For this reason, some people shift their investment portfolio to fixed income investments, such as bonds and money market accounts, as they enter retirement. The problem with this approach is that you'll effectively lose purchasing power if the return on your investments doesn't keep up with inflation. While it generally makes sense for your portfolio to become progressively more conservative as you grow older, it may be wise to consider maintaining at least a portion in growth investments. • Understand your retirement plan distribution options. Most pension plans pay benefits in the form of an annuity. If you're married, you generally must choose between a higher retirement benefit that ends when your spouse dies, or a smaller benefit that continues in whole or in part to the surviving spouse. A financial professional can help you with this difficult, but important, decision. • Consider which assets to use first. For many retirees, the answer is simple in theory: withdraw money from taxable accounts first, then tax-deferred accounts, and lastly, tax-free accounts. By using your tax-favored accounts last and avoiding taxes as long as possible, you'll keep more of your retirement dollars working for you. However, this approach isn't right for everyone. And don't forget to plan for required distributions. You must generally begin taking minimum distributions from employer retirement plans and traditional IRAs when you reach age 70½, whether you need them or not. Plan to spend these dollars first in retirement. Unfortunately, there's no one-size-fits-all when it comes to retirement income planning. A financial professional can review your circumstances, help you sort through your options, and help develop a plan that's right for you.